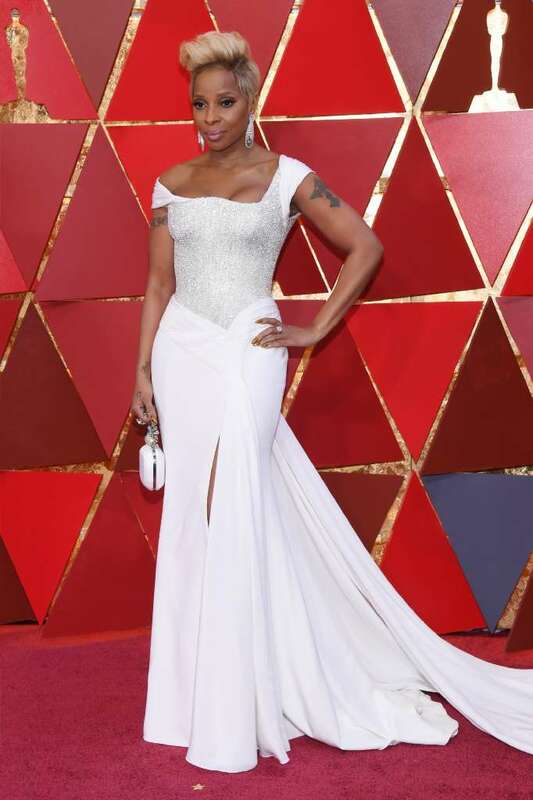 After so much call to action, the 90th Academy Awards red carpet was a call to individuality and representation. Following an all-black Golden Globes and a prolonged period of striking #MeToo stories and important questions about the treatment of women and minorities, this red carpet felt like a chance to come up for air. The vibe was cautious yet confident, hopeful and bold. Stars were ready to bring back color and take style risks again. In fact, black was in short supply, swapped for white, yellow, purple, red and blue, plus a heavy dose of Oscar's typical sparkle and sequin. One guest was so overcome by her own amazing flavor, she had to lie down (see below). There still a long road ahead, but it's time to keep going down it. Might as well look good. 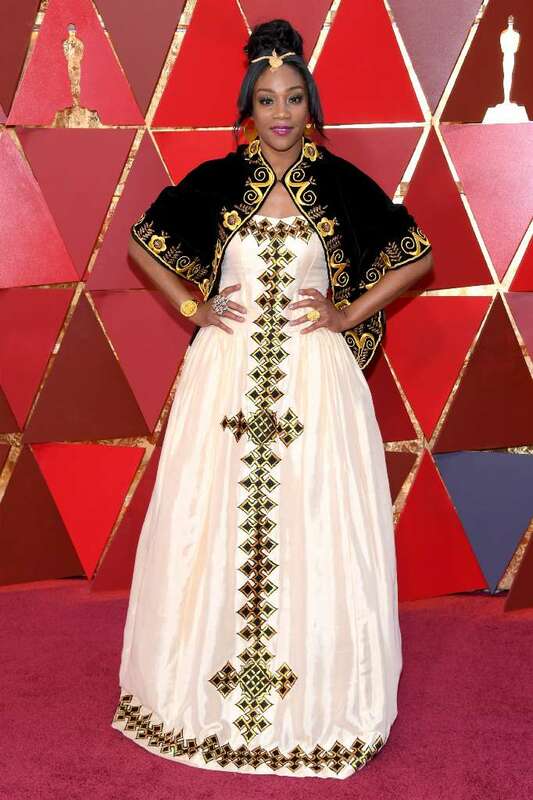 The hottest comic on the scene wore a traditional gown in honor of her late father, who was from Eritrea. "He said one day I would end up here and if I ever ended up at the Oscars to honor my people so I'm honoring my fellow Eritreans," she said. Gorgeous. 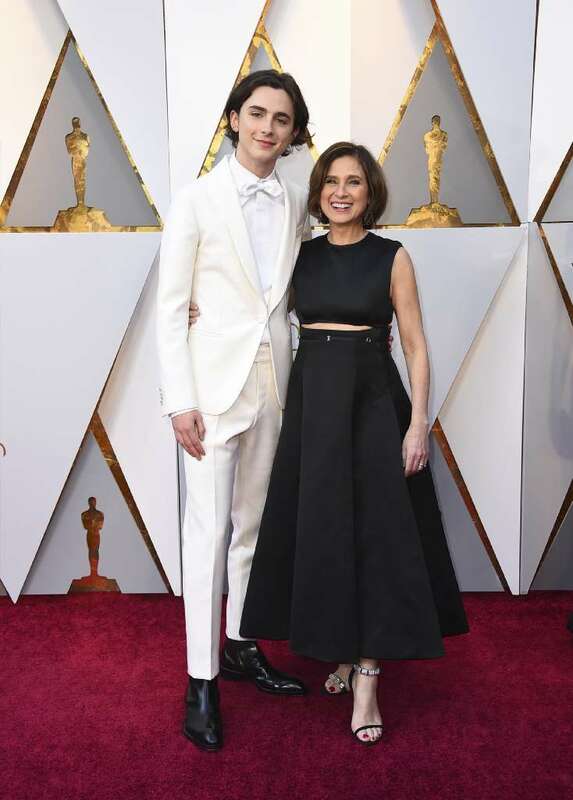 The 22-year-old breakout star of Call Me By Your Name brought his mother as his guest and was genuinely giddy to be there. He also wore angelic all white, which is very on-brand. Lord God, she's amazing. Also, she seemed really relaxed on the red carpet and talked about how the pressure was off this year, and she could just have a cocktail. Just nothing but good feelings of rainbows and joy here. A sleeve of this dramatic length would seem to present myriad logistical problems. How do you get a chip into the dip? Did Margot Robbie step on it all night? Let's not discuss the bathroom. If anyone can handle it, it's Janney. She wore a bird on her shoulder for much of I, Tonya. Speaking of Robbie, she looked pretty chill in white Chanel, although is her chest grinning at us? I am interested in her hair length. This whole evening is chance for me to get ideas for how to grow out my hair. They didn't know that when they planned it. 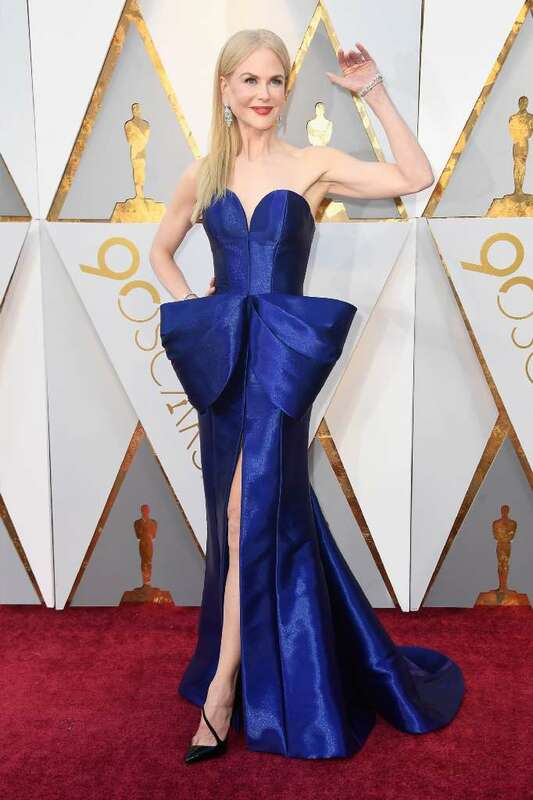 It's not the Lady Bird writer/director's fault that Michelle Williams wore marigold to the Oscars in 2006 and will always be the (mari)gold standard. However, Gerwig is a true creative talent and wore a color befitting one. Also studying her head for grow-out tips. I missed this during the pre-show and almost burst into tears when she came out on stage. How can someone look this consistently good, all the time? Geez. Wow. Hear me out. Are evening dresses for Barbie dolls kind of out? Every time I'm in the Barbie aisle (I don't need your questions) I feel like they're now very casual, cool, kick-it type ladies, which is fine, but does Barbie still turn it out for like, a charity gala ever? In the 1980s, I had a variety of such ensembles for my dolls, many with gold bows the size of Kansas. Long way of saying, Nicole gets it. Challenge day! 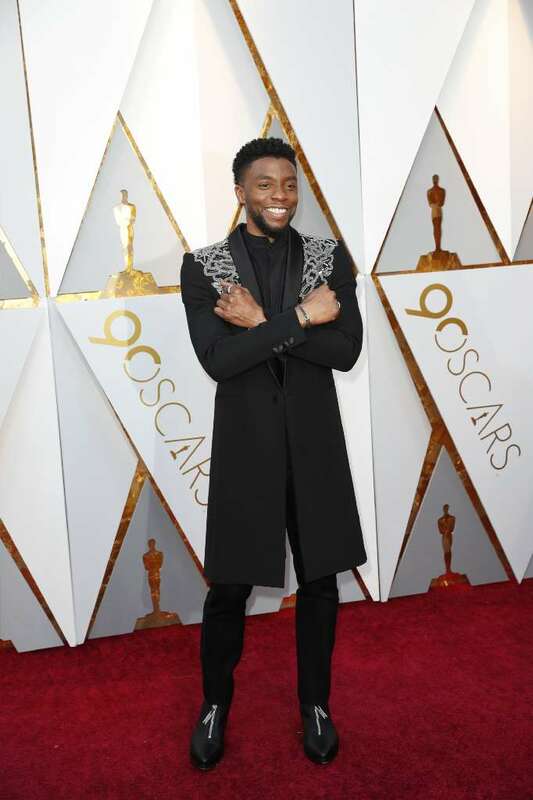 This excellent embellished long coat is reminiscent of T'Challa, Black Panther, king of Wakanda. Boseman shouted "WAKANDA FOREVER!" into the crowd, which was life-affirming. Who would have thought America's Sweetheart Jennifer Garner, erstwhile time-traveling employee at POISE magazine, would show up as a 1990s supermodel in a George Michael video? 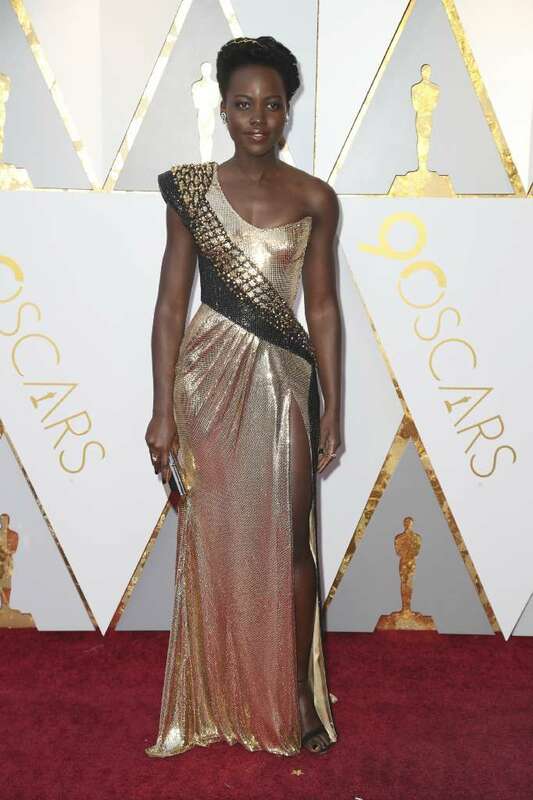 Easily the most glamorous look of the night, and Ben Affleck is somewhere pretending not to notice. Also, I promised our features designer that I'd use this platform to advocate for a reboot of Alias. I don't know. I have an intensely negative reaction whenever I look at this. It's something about dresses that are in the shape of spring rolls. She's very good at acting. This is an Oscars moment to treasure. Tis a bold woman who reclines on a red carpet. She fears not dirt, nor dust, nor mite. She cares only for channeling an exhausted Baroque noblewoman who has just declined to marry an unsatisfactory suitor. The white is creamy and dreamy. I'm thinking her sternum may be a little smashed, and I definitely wonder what fun stuff is in her purse. She's probably thinking, "I'm nominated for two Oscars at once, and you are in an office somewhere eating Chipotle." She would be correct. As usual.